Coupons valid until February 08, 2019. May redeem multiple coupons per person. Valid for ladies only. Excludes public holidays. Open Tuesday to Sunday from 9 AM till 6 PM. Reservation required on 03 652 837, quote Gosawa coupon. Coupons must be printed. No carry over. VAT included in price. Standard terms & conditions apply. Pampering our nails is something that we should do regularly, after all it's one of our most important beauty features! 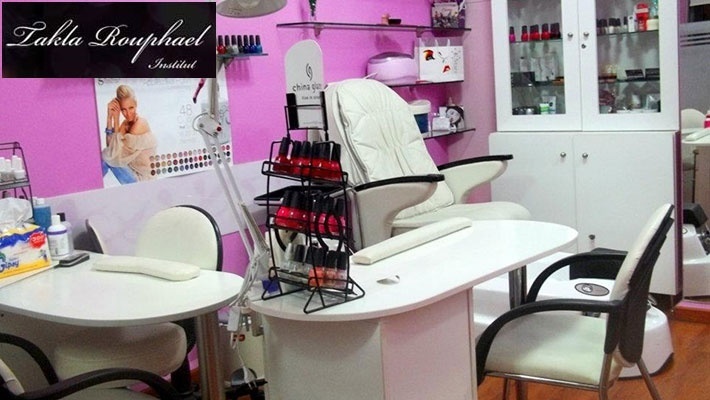 Benefit from 50% off a Manicure & Pedicure Session with Foot Scrub at Takla Rouphael Institute, only $10 instead of $20. A pampering treatment for your hands and feet! Takla Rouphael Institute is a beauty salon providing every lady with all the beauty care she needs to look magnificent! Visit the salon to benefit from nail care, facial skin care, hair removal, lipo laser, makeup, solarium and more!